By Holly R. Andersen, O.D. Age-Related Macular Degeneration is a progressive, painless eye disease that can cause irreversible blindness. The macula is the part of the retina that deals with your straight ahead detailed vision. You use this part of the retina when you read, drive, read the ticker on the TV, check your emails, Facebook, Instagram and Twitter. There are two types of AMD: dry AMD and wet AMD. 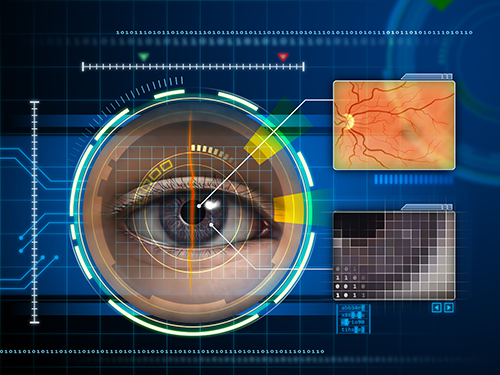 Dry AMD involves macular tissue becoming thin and eventually not working. Wet AMD involves, leakage within the retina the leads to sudden vision loss. Unfortunately, there is no cure at this time. Researchers have been working on ways to cure this blinding disease for years. We do know some controllable risk factors to decrease the chances of developing macular degeneration. Once you experience any of these symptoms, you may already have irreversible damage to your retina. Calling your eye doctor immediately can make a difference in the end result of your vision. The best defense is avoiding our controllable risk factors listed above and making sure you see your eye doctor yearly. 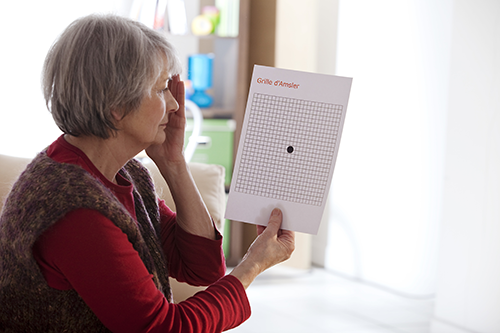 They can detect early signs of macular degeneration before vision loss. This can help in managing and prolonging your functional vision. Make sure you read our next blog discussing the importance of diet and vitamins in your macular health and overall visual function. Call to schedule your eye exam today! Or click HERE to schedule online!